Tourist centre Lazar now offers a wholesome experience: accommodation (camping, apartments), food (restaurant) and organizing of sport activities (rafting, kayaking, canyoning and other water sports, paragliding, fishing, sport taxi). 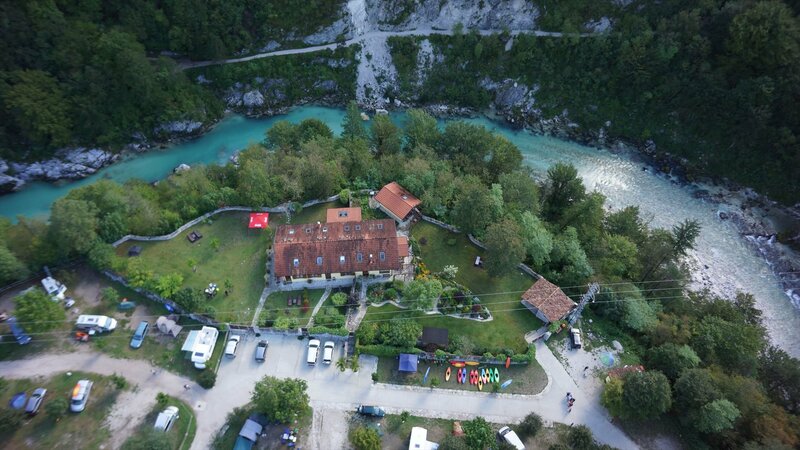 The campsite Lazar is situated alongside the emerald river Soča - one of the most beautiful rivers in Europe - not far from the historic town of Kobarid. Exclusive location just above the Soča river makes the holiday house a perfect relaxing paradise! Delicious local and fresh food, same as we enjoy at home, a story about a laid back atmosphere and open fire! The campsite Lazar is situated alongside the emerald river Soča – one of the most beautiful rivers in Europe – not far from the historic town of Kobarid. The unspoiled nature offers numerous opportunities for free time activities, sports and trips to the surrounding areas. Riverbank below the camping site offers a perfect relaxation on its many little beaches. You can refresh listening to the rapid emerald waters and enjoy the view on the mountains. A stroll over the hanging bridge over Soča river leads you to the central natural landmark – waterfall Kozjak. I enjoy working with people and pamper them. It is very rewarding to see my guests keep returning each year. Thank you for being my guests already and you are kindly invited if you would wish to warm up your heart in our little corner of Soča valley paradise. 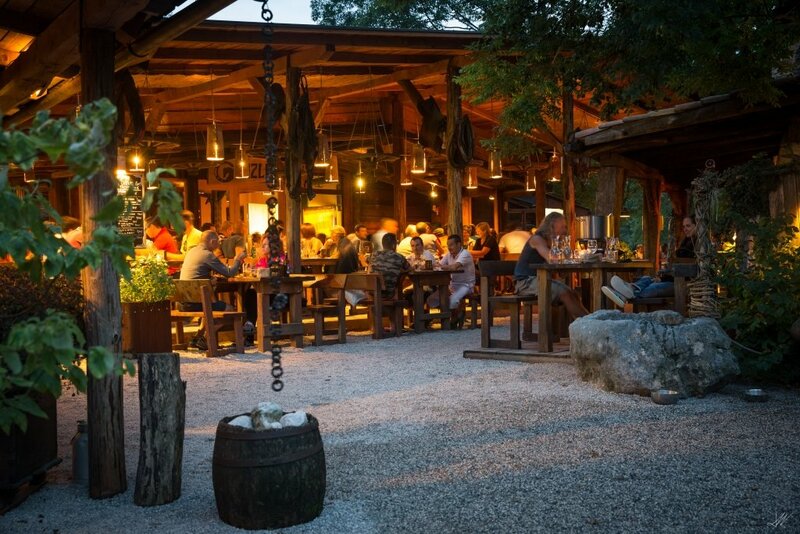 Holiday house Lazar is situated in the close vicinity of the camping Lazar, just above the Soča river. In the vicinity of the campsite and the town of Kobarid you can visit a number of natural and cultural attractions and take part in different recreational and relaxation activities. Kobarid is a small but interesting town where you can buy all you need during your stay and do all your errands. It is most famous for its delicous food and the World War I museum. A popular summer activity for tourists and locals alike is bathing in the small river Nadiža, only 5 km away from the campsite. I’m glad to have been able to realize my vision of tourism in Soča valley in spite all the odds. I managed to build a Tourist centre Lazar. The idea and its modest beginnings originate twenty-five years back in the past, but it seems like yesterday that I have been clearing thorny shrubs from this ground, digging, building the first wooden sheds. Horses and my first little cabin log- bar instantly attracted friends and first guests that gathered beside the fire, with good music and m first speciality served –my unique pancakes. The period of live music concerts was exciting and cheerful; sometimes we were merrymaking till morning, but never anyone left hungry since pancakes were served around the clock. J Gradually I managed to upgrade a menu of culinary delights and thus widening the circle of guests. Most visitors became our regulars and many even family friends. The biggest project is a long planned restaurant that enabled us to improve our culinary offer and working conditions. This is a story about hospitality in the fantastic natural setting, a story about delicious local and fresh food, same as we enjoy at home, a story about a laid back atmosphere and open fire which is the heart of the place, a story about good music, devoted staff-team and about the best guests that get attracted by all this. Do you wonder why rafting is so popular with us? Emerald green rapids of the Soča river conjure up an unforgettable good time and in a raft a whole group of people can have fun! Rafting is still the most popular way of releasing adrenalin on the Soca river, simply because it’s suitable for beginners. You’ll just need a swimming suit, towel, sports shoes and a pocketfull of good will. Then you set out for the starting point. While you are still on the river bank the guide explains the safety rules and you’re already on the river. The first part is calmer and the guide shows you the basic paddling techniques. And afterwards… bravely down the rapids!